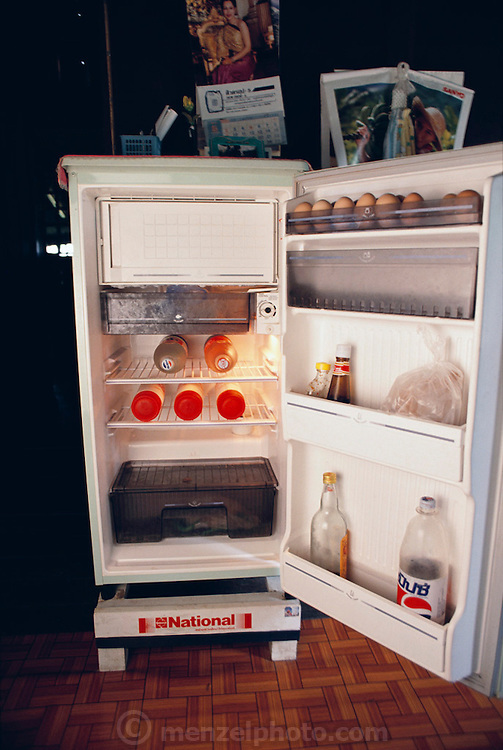 The Khuenkaew's refrigerator holds some soft drinks, eggs, a bag of meat. Thailand. The Khuenkaew family lives in a wooden 728-square-foot house on stilts, surrounded by rice fields in the Ban Muang Wa village, outside the northern town of Chiang Mai, in Thailand. Material World Project.